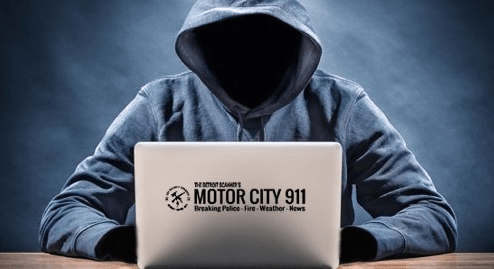 Detroit: December 2 2018 -1040AM – Every so often a story comes through the scanner that makes you smile a little, it’s a morbid smile of course, but a smile nonetheless. Early this morning, 3 Detroit women were setting off to give praise at a local church. The 3, a 29 year old, a 55 year old and a 75 year, no doubt do this every Sunday. Unfortunately, a ne’er-do-well, we’ll call him Bob, decided that the 3 church going women would make an easy target in his pursuit of preying on the weak. So Bob saw the 3 women exiting their house on Mark Twain and approached them in the driveway. Bob, being intellectually superior to these 3 helpless women, thought it best to herd them back into the house. Once inside, the 55 year old woman, we’ll call her Annie, found herself faced with a conundrum. Should she submit to Bob and allow him to steal all her stuff and God forbid, hurt her or her friends? Or should she fight back? Well, Annie’s from Detroit and she wasn’t going to have any of that nonsense. The particulars are unknown but apparently Annie decided to slap leather and aimed for center mass, firing 2 rounds that took effect. Well, Bob wasn’t prepared for Annie fighting back and took a body shot. At least 1 round entered through his chest and tore apart some rather important Bob body parts. Bob ended up with a sucking chest wound. Officer’s from the 2nd Precinct arrived on the scene and noticed Bob wasn’t with us any more and called his condition a “K-Type”…meaning Bob was dead as a doornail. Bob may very well have come from a broken family, he may have even had a drug or alcohol problem, but Bob was also a predator, preying on innocents. Bob isn’t anymore, he’s been erased by a very brave woman who may have saved not only her own life, but the lives of her friends.